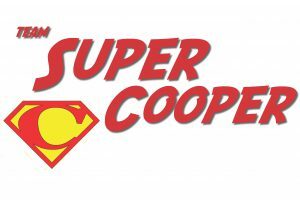 Join us as we get to know one of our 2017 Red Shoe Run Teams, Super Cooper. We sat down with team captain, Rebecca, to ask her a few questions. See what we found out below! This team was formed in memory of a 4-year-old boy named Cooper Hodges. Cooper was diagnosed with a brain and spinal cord tumor last February. During his battle with cancer Cooper fought hard, never giving up, defying the odds time and time again, and never losing his happy spirit. Cooper went to his forever home on June 11th of this year. 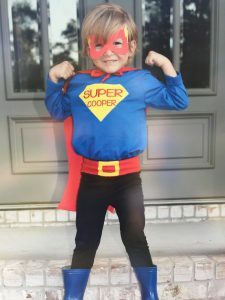 He will always be known as Super Cooper because of his bravery, his motivation to never give up, and his happy contagious spirit that has inspired everyone who knew him. What is motivating you to raise $2,000 for the Ronald McDonald House? While Cooper was at Children’s of Alabama for over 2 months his parents and family members stayed at the Ronald McDonald House in Birmingham. The House and the staff were such a blessing to them and their family in many ways and they are excited to give back to this charity through the Red Shoe Run! Being able to raise awareness of this charity and the great service that it provides. Being able to tell others about Super Cooper and about how the Ronald McDonald House was such a blessing during such a difficult time. It always feels good to give back to those that have given to you! What does Ronald McDonald House Charities mean to you? Cooper was able to stay at the Ronald McDonald House on several occasions after he was discharged from Children’s Hospital. He was always SO excited to visit and always said, with a big smile on his face, that he was staying at “McDonald’s!” So the Ronald McDonald House means a lot to our family. It was a joy for Cooper and a happy place to stay at a time when he did not feel the best. A fun place that made being away from home a little easier. The Ronald McDonald House and the people that volunteer there became like family to us. What would you say to someone who hasn’t signed up yet? I would tell them, “what are you waiting for?” I would tell them all about Cooper and how the Ronald McDonald House was such a blessing to him, our family and to many other families!!! 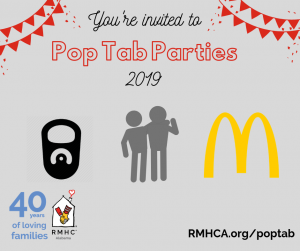 I would tell them that by signing up or by supporting a team through a donation that they are making it possible for other families, just like ours, to have a home away from home and an amazing support system through Ronald McDonald House Charities. Their contribution can and will make a difference in someone’s life. If you are interested in setting up your own Red Shoe Run team, registering as an individual or supporting a team like Super Cooper, visit www.redshoerun-bham.org.